When your neighbors need an Southborough MA electrician, the reasons they trust WIRED Electrical Contractors is endless. From our upfront pricing to our guaranteed satisfaction, our credentialed Southborough MA electricians always deliver innovative solutions with peace of mind. I called Wired Electric after seeing the good reviews online. I had some light fixtures that I wanted to install in my kitchen and bathroom. The people I spoke to on the phone were all very helpful and kind. It was easy to set-up an appointment and John the electrician arrived promptly at the agreed day and time. John was also very kind and patient in explaining things to me. He installed 3 light fixtures in my kitchen and replaced a vanity light including an electricity box for added safety in my bathroom. John took about 4 hours to get everything done. I’m happy with his work but can’t help feeling I was grossly overcharged. I paid a total of $1024 for this easy enough job which would come to an hourly rate of $250!! Maybe I’ve lost touch with reality but is this the going rate for electrical work these days? 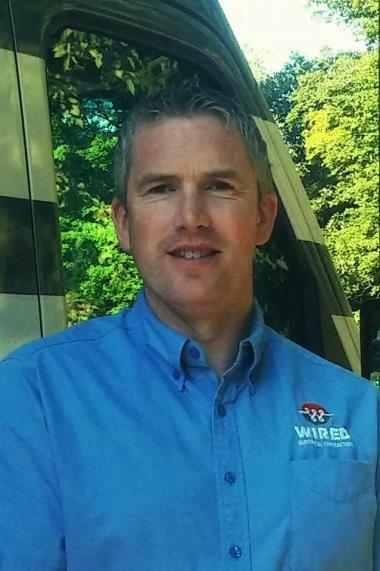 Paul is reliable, affordable and most importantly capable of handling any of your electrical needs. He holds himself to a very high standard. I will definitely use him going forward. It was a pleasure to have Paul come to our house and help us with some electrical problems we were having. He's a very kind and personable guy who does excellent work! Wired is super personable and very good. They accommodate your requests quickly and all staff are super responsive. If you want the job done correctly and neatly....Call Wired. What a great experience. They show up on time. They do an awesome job and are very respectful of your property. They leave the project as clean as it was when they arrived. They know the electrical business. They have many solutions to help you through the decision making process of replacing/adding fixtures to your home that will eventually save you money in the end. Alexander and Tim provided great service. They took the time to explain everything they were doing even though the project was not as simple as everyone initially thought. Very professional and I look forward to having Alexander, Tim, and Wired Electrical Contractors work on my house again. Electrical service call Electrician performed tasks: Installation of Quad Receptacle A Post in Basement. Circuit extension from Receptacle in storage closet. Installation of small surface mount light fixture.